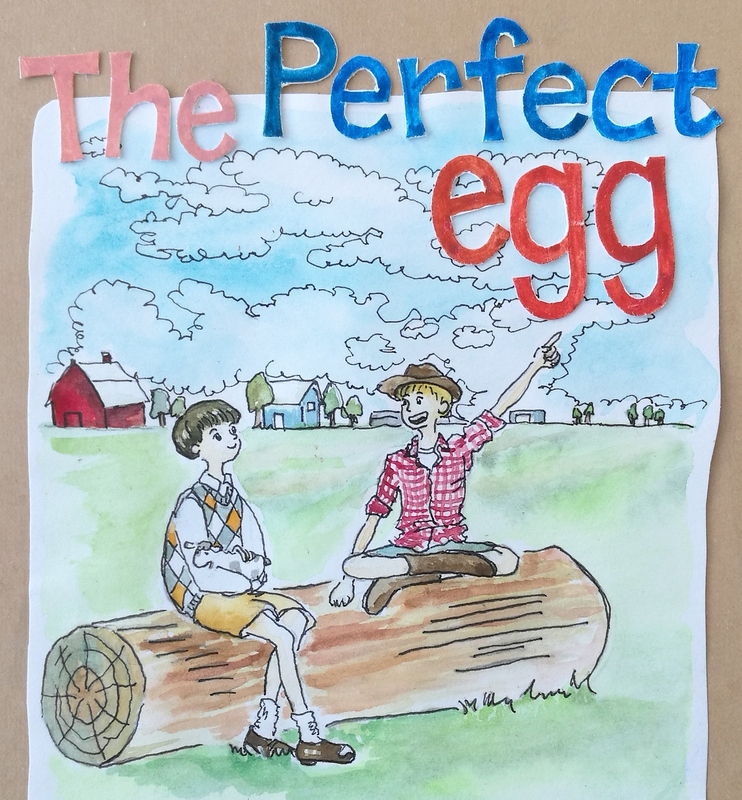 The Perfect Egg is a storybook about lessons learned by a rich boy and a poor boy (presented here as an audio-visual tool for easy access). It is appropriate for ESL learners from Grades 4-6 with Intermediate Level abilities. The story contains several examples of the commonly confused verbs sit/set, lie/lay and rise/raise, in present, present participle and past tenses. In the story, the poor boy, Jake, raises perfect eggs to sell at the market. The rich boy, Louis, is obsessive about having perfect eggs for his omelette. So, Louis goes to the market to find the perfect eggs because he is not satisfied with what his cooks are serving. At the market, Louis offers Jake a large sum of money to live at his house and raise chickens that lay perfect eggs. Jake tries to enjoy the comforts of rich life, but gradually gets frustrated and wants to go back home. He decides to teach Louis how to raise his own chickens to lay perfect eggs, so long as Louis changes his arrogant attitude. The story is good for use in an ESL class, and can also be used to discuss rich/poor stereotypes, sharing one's gift, being appreciative, and more. Díaz-Rico, L. T. (2012). A course for teaching English Learners (2nd ed.). Boston, MA. : Pearson. Kerr, G. (2000). Design and Transformation: New Theories of Meaning. In Cope, B. & Kalantzis, M. (Eds.) Multiliteracies: Literacy learning and the design of social futures. London and New York: Routledge.